Don’t Fall for the One Size Fits All Myth! You are unique, so why try to squeeze yourself into somebody else’s mold? Experience the freedom that comes from learning personality based time management and discovering what works for you according to YOUR personality. Empower yourself with the knowledge to make the most of each and every day which includes learning to plan in any system based on your personality, with this jam-packed little ebook. Brought to you exclusively by The Busy Woman©. The concepts are simple and there are even examples of how to use a planner based on your personality. The Personality Based Time Management© ebook guides you through the exclusive Busy Woman’s Daily Planner® personality based time management quiz and provides all the details you need to apply the knowledge to your life. 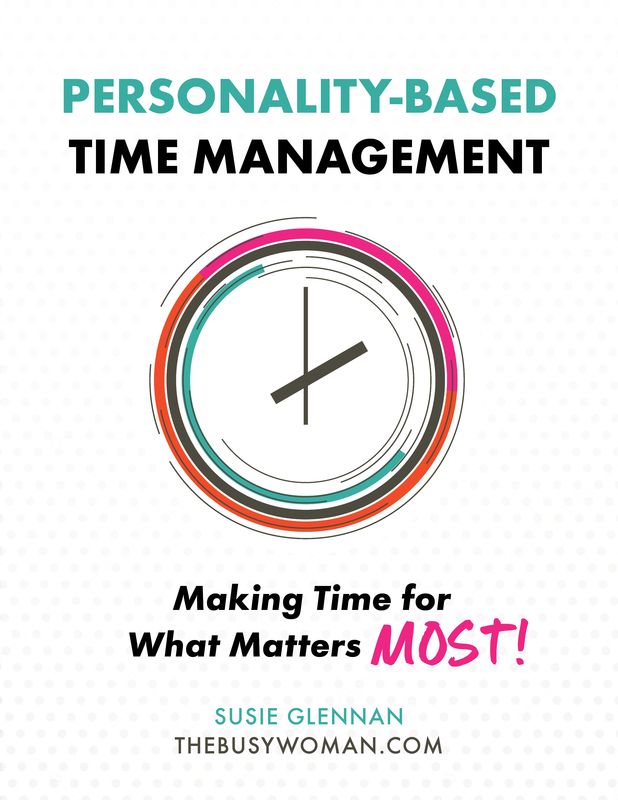 You’ll gain fun insight into Personality Types while learning to define effective time management, how to deal with discipline, as well as get the basics of time management. Proving once again that great things come in small packages, there are pages of amazing information. Order now to open your world to the organization and planning strategies customized for your life! Makes a great gift for new mothers, secret friend exchanges, and more! 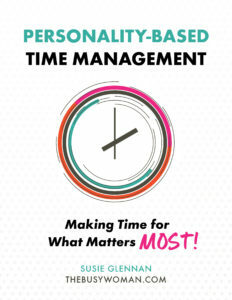 Side Note: This Personality Based Time Management© eBook is registered with the copyright office. No portion of this Ebook may be reproduced or redistributed without prior written permission from The Busy Woman©. All key phrases in this Ebook are under copyright and trademark protection and may not be reproduced. Don't Fall for the One Size Fits All Myth!